For my Stylist’s Selection this month, I have decided to pick out a range of products that go well with monochrome! Bold colour and dramatic accents have been huge this season but let’s not forget there’s beauty in simplicity. Monochrome bathrooms can make a big impact, with a classically elegant look that will never grow old. With smart Art Deco-inspired products, this selection features some of my favourite traditional ceramics, available right here at VictoriaPlum.com. 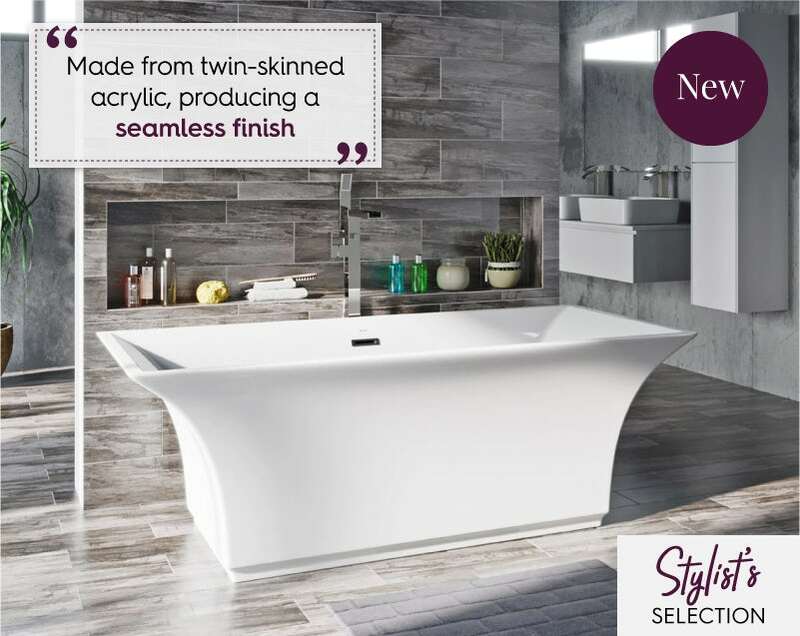 Firstly, I’m going to introduce you to the beautiful statement Austin freestanding bath from Mode Bathrooms. 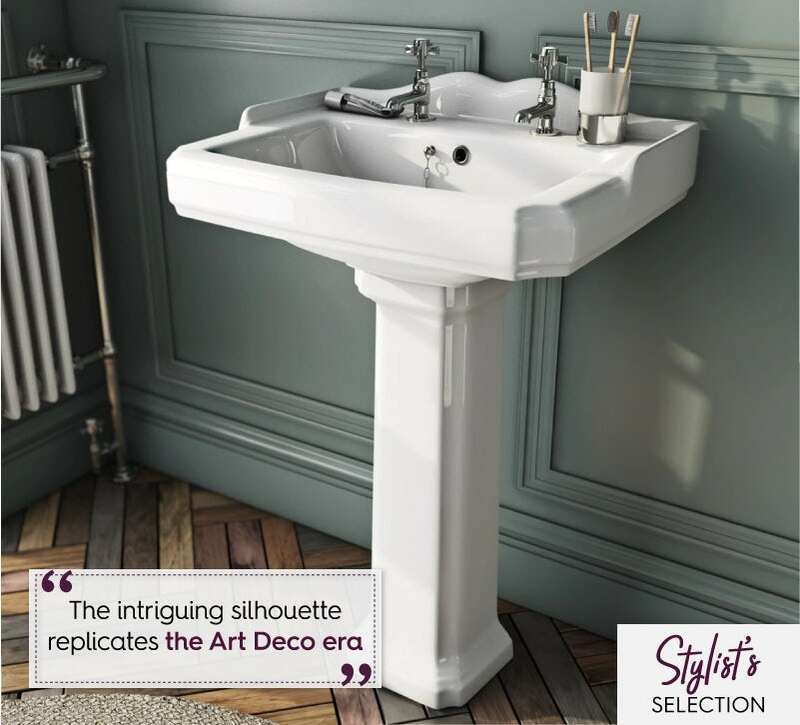 It boasts an incredibly authentic Art Deco shape that certainly wouldn’t feel out of place as a grand centrepiece for your bathroom. It has a generous capacity which is perfect for whiling away those lovely, long, light spring evenings. The Winchester full pedestal basin from The Bath Co. features the most intriguing silhouette that replicates the Art Deco era perfectly. Instead of a single tap hole, like you'll find on most modern basins, this one comes with space for 2 separate pillar taps, for authentic period detailing. It’s a fantastic product that works well with this month’s selection. No monochrome or Art Deco-inspired bathroom would be complete without a bold, black accent. A sneaky but perfectly acceptable way to add this into your design is by mixing things up a little with a black toilet seat. 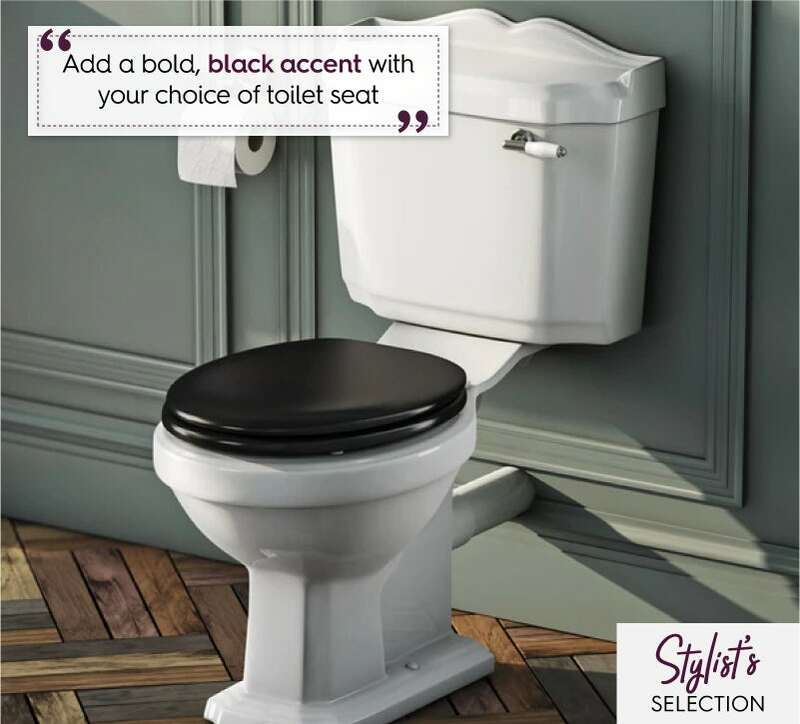 The Winchester close coupled toilet from The Bath Co. comes complete with a painted black wooden seat, making it ideal for this purpose. It features the same silhouette as the basin, so would work perfectly within your design. Combining modern functionality with period elegance, the Dulwich black traditional heated towel rail from The Bath Co. is simply stunning. 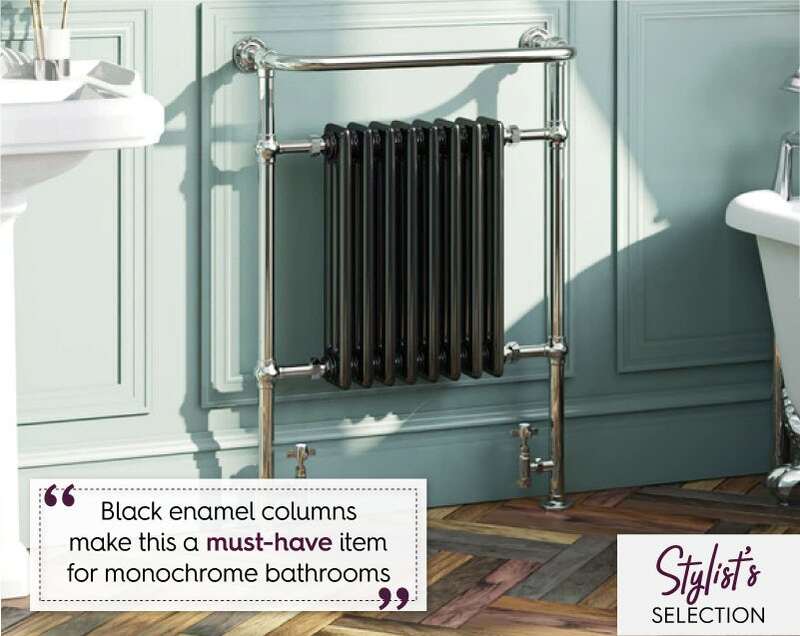 The black enamel columns work in perfect harmony with our monochrome palette, surrounded by a chrome-plated steel framework which gives you plenty of space to keep those all-important towels nice and warm. Remember, it’s not quite summertime yet! It's not often I get this giddy, but I’m super excited to introduce this NEW mirror to you! It has been in the pipeline for a while, so I'm thrilled to be able to show it off to you for the first time. Inspired by genuine Art Deco designs from the 1920s, this beautiful layered mirror is the perfect accessory for a monochrome bathroom. A great way to show off and reflect your new style. 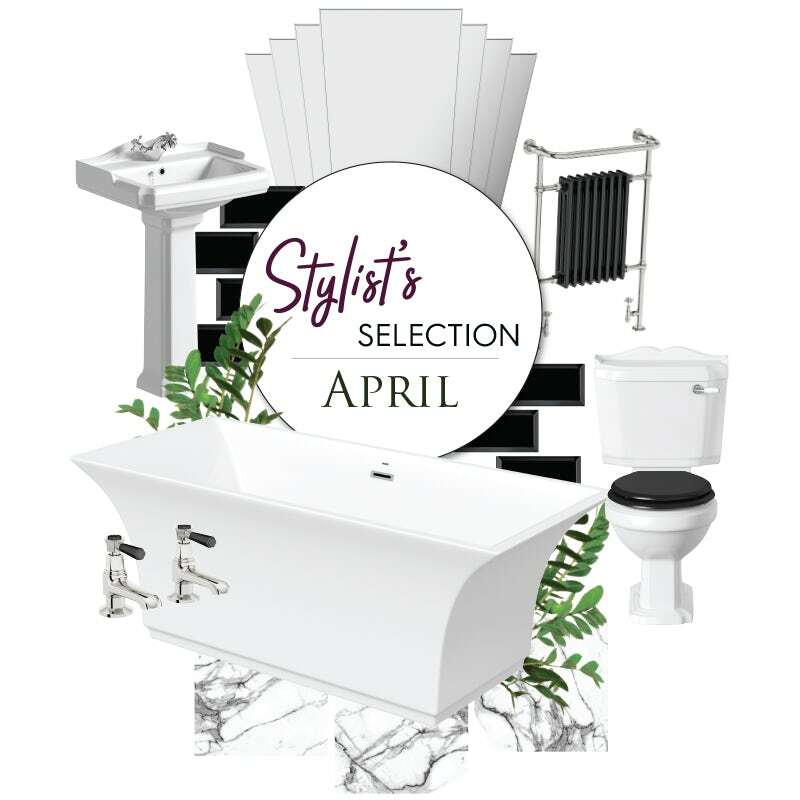 This month, I’ve carefully selected products which I believe would be instantly recognisable as either monochrome or Art Deco in style, and that certainly doesn’t stop when choosing my taps. Made from the highest quality solid brass, these Beaumont lever taps from The Bath Co. come with intricate hexagonal-shaped black handles. 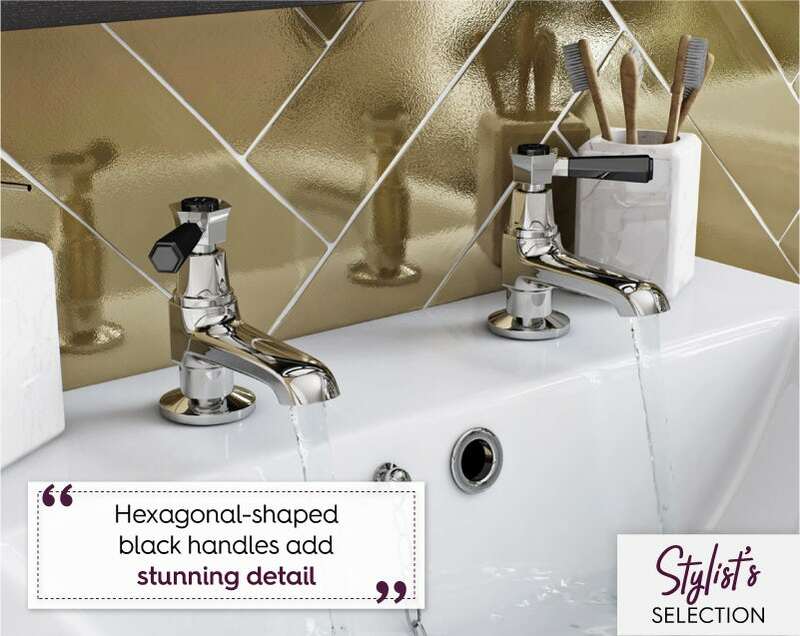 Art Deco is characterised by a use of geometric shapes, which makes these taps the ideal finishing touch for your basin. This is the easy part! 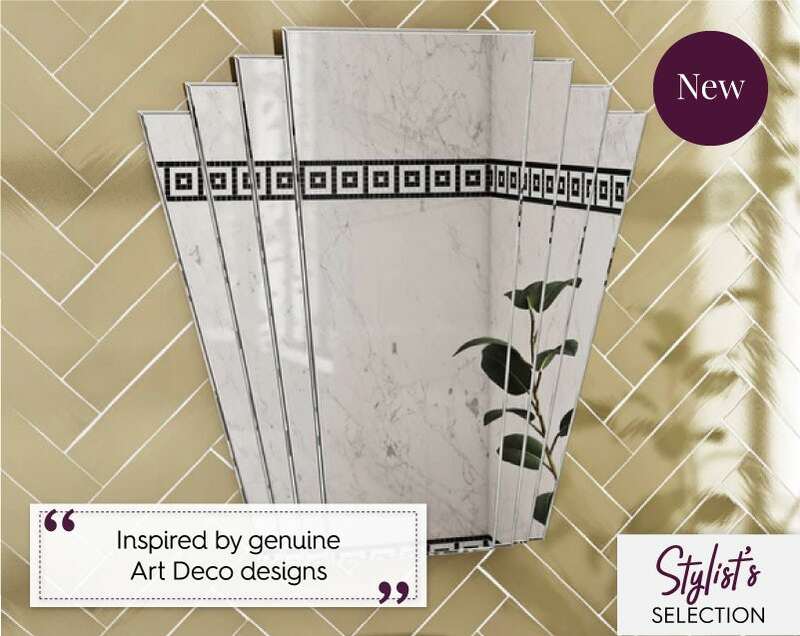 You simply can’t have an Art Deco bathroom without [metro tiles]! They take me back to my days of travelling around London and running for the last tube home. Full of history and spark, they’re a fantastic way to add a little more tradition to this look. I’ve gone for British Ceramic Tile Metro tiles in gloss black with a classic bevel edge which works perfectly with my monochrome theme. Thirsty for more Art Deco inspiration? 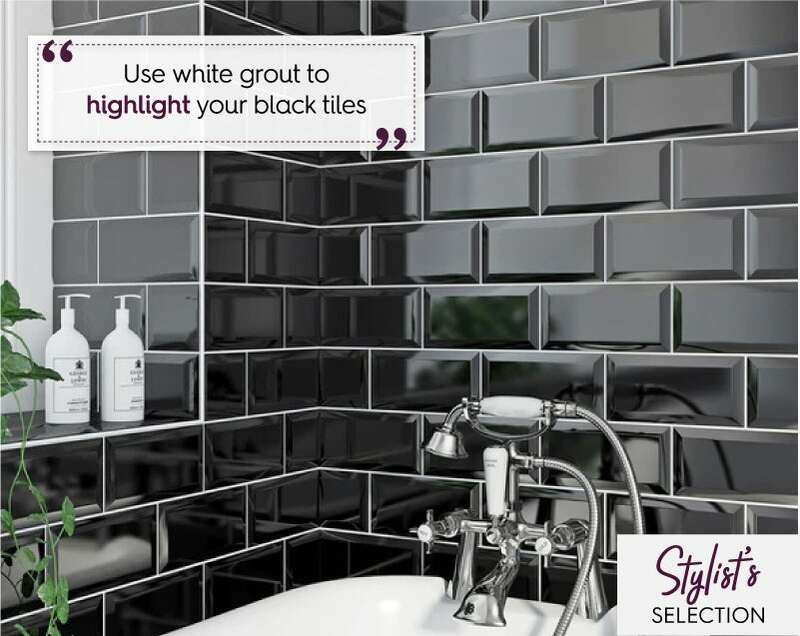 We look at 6 ways you can add black elements to create a magical monochrome colour scheme in your bathroom.